The prolonged hot spells in the Philippines is common when the month of March enters. The hot summery weather here in Davao will certainly thing of something to eat that will make you cool down and relax. 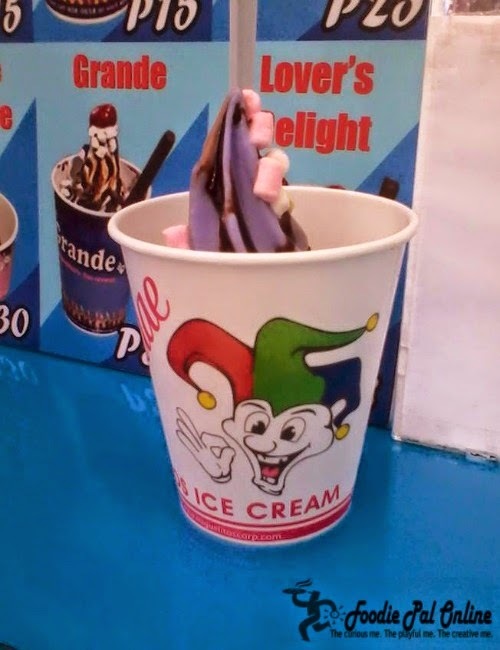 Good thing I saw this mini-kiosk that sells ice cream, Miguelito's Ice Cream at Felcris Centrale. 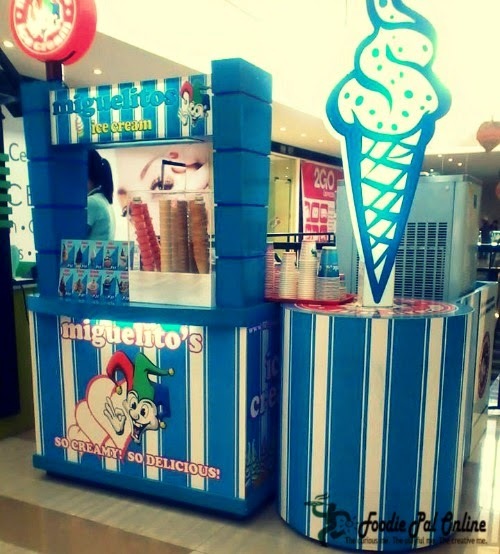 Miguelito's Soft Ice Cream is under Miguelito's International Corporation, which begun its operation in Paco, Manila in the year 2002. A retailer of soft ice cream machine that grown and expanded their market nationwide. 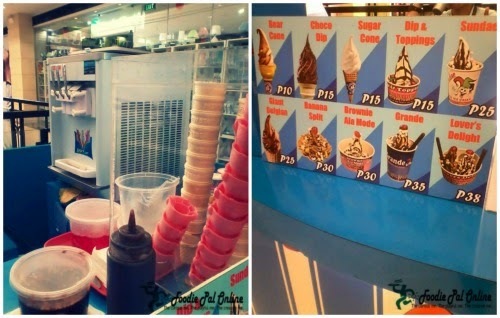 It's so perfect for this summer season to indulge yourself with some coolness sweetness from Miguelito's ice cream, very affordable and lots to choose from CONE to SUNDAE THREAT. 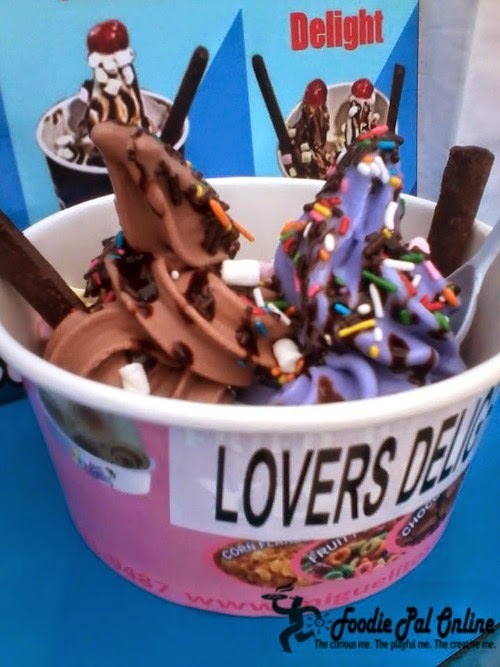 LOVER'S DELIGHT is pack with two twirls flavored ice cream, dump a ton of sprinkles on top and mini-marshmallows added with chocolate syrup and two sticks chocolates. The traditional twirls that kids love enjoy eating that put a classic twirl into too much creativeness by incorporating two flavored to make a Lover's Delight. Soft, chewy and a little bit of a fudge like taste touched this Sundae Twirl, though it looks like the same with the ordinary twirl in a cone, but what makes it different is the presentation. Sprinkle with mini mallows and candies plus chocolate syrup equals this terrific SUNDAE Treat. Despite its simplicity, the taste is endless: as you stir and mix it with drizzle chocolate syrup and chunks of sprinkler candies and mallows, its like hot sundae fudge sauce over the top, on and on. Makes this cozy treats even more festive in a hot, hot summer month. Make Miguelito's Soft Ice Cream your appropriate company for your OFFICIAL SUMMERY REFRESHMENT. 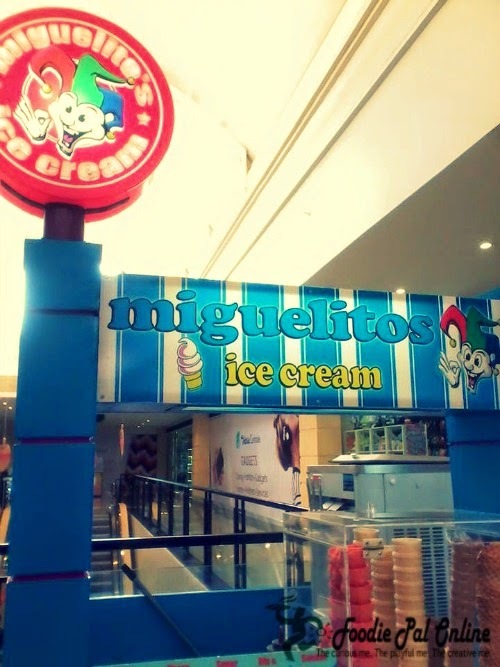 Want to franchise visit here >>> MIGUELITO'S CORP.
Hahahaha...buy ice cream for your GF too. So sweet! Thanks Melvin. 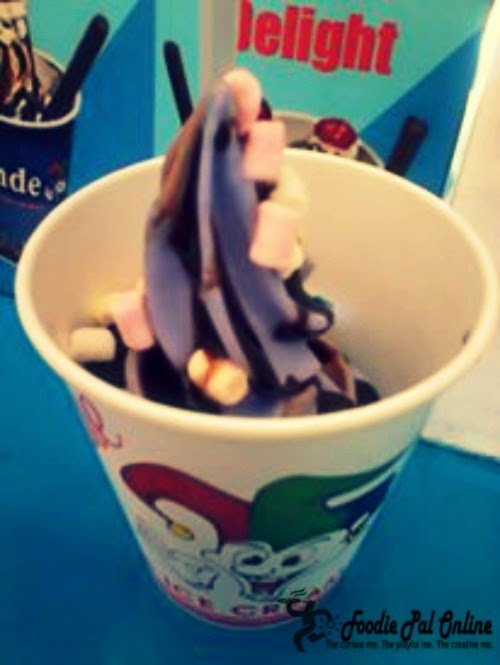 Pal your photos + article really introduced me to the temptation to go right now and buy an ice cream!! I am no a diet and i will try to refuse...but its hard after reading this. Hahahaha...Dare Conquer better hurry! Thanks. It started to get uber hot these past few days and yes, ice cream is one of the ultimate heat-busters. I have not heard of Miguelito's though, but I'll most definitely try it if I see one here in my area. Yes Russ, it is super summer here in our country and we need to refresh. soft serve ice cream is trending over here in singapore too! i like how yours is flavoured and there's assorted flavours in 1 swirl. looks so pretty! I stop being a fan of ice-cream when I start learning about calories and how sinful ice-cream is! 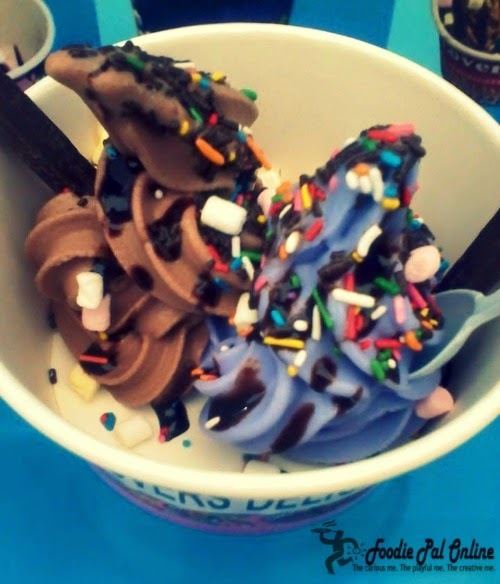 Now, I only try to go for frozen yogurt is I'm really craving for something cold! Lover's delight is so perfect to order for dates!! I love how you can try two flavors while sharing the lover's delight. I grew up having Ice Cream as merienda. We used to own kasi an Ice Cream factory. So good to try that Lovers' delight. Looks so tempting, I wanna eat, i wanna eat.. Yummy! I love Ice Cream and this one really brings in a lot of flavor. There's so much to try especially this summer months. I love Ice cream and prefer to eat it in the summer time. This looks so good. Yummy! These looks delish! I am sure my daughter would love this!